I don’t have a regular hair routine, and with this I mean that each time I’m trying out a different shampoo/conditioner. I already tried out a lot of good shampoos and conditioners, but not to say wow, my hair looks amazing… So each time when my conditioner & shampoo is empty it’s time to try out new one. And by chance I had these two products from biolage; a nourish shampoo & conditioner that I won a time ago through instagram (lucky me 😉 ). I’m using these products for a good 2 months now, so time to tell you more about my experience with these nourish shampoo & conditioner. This line is specially for dry, dull hair. So perfect for now that it’s getting colder and colder! The nourish shampoo is with quinoa husk and honey. The conditioner contains coconut oil and kaolin clay. Both products are made out of 97% natural origin and these don’t contains silicones, sulfates and parabens. This shampoo has a special smell. I can’t describe it, it’s a bit a weird but fresh smell. It’s a shampoo that feels so good when you wash your hair with it. I’m fan! And since that I’m using these my hair looks much and much better. I have very dry hair. But now my dry hair is gone. Because this shampoo lets my hair looks so healthy and good! The combination from the shampoo & conditioner is just amazing! The shampoo does a lot for my hair, but the conditioner works it all off! It makes my hair so soft and let it shine in the good way! Yes, this nourish line is perfect for dry hair that can use some nourishing. The shampoo and conditioner is the perfect combination to let your hair looks good again! These products are also perfect for now because it’s getting colder and colder. So I will use these products with much pleasure. 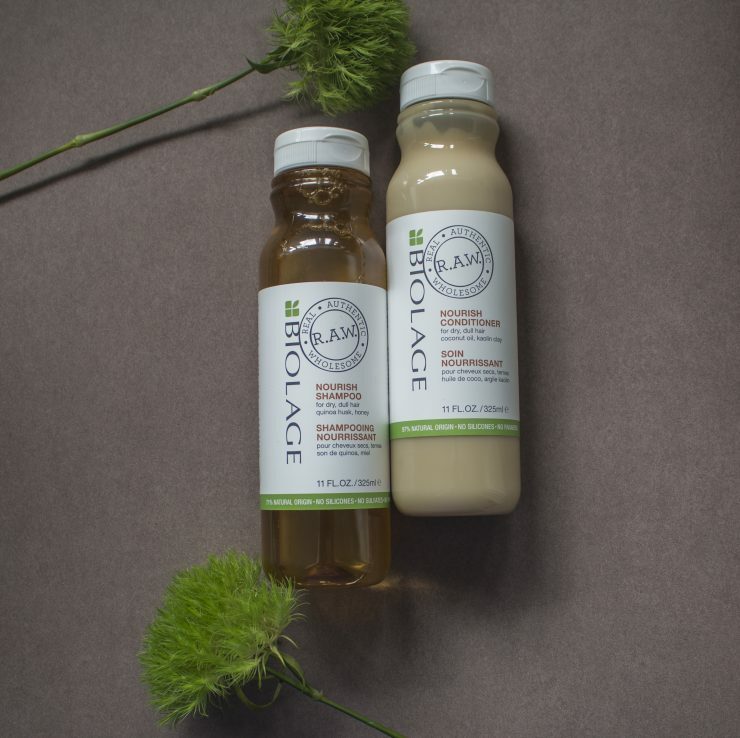 These biolage nourish shampoo & conditioner is available by different hairdressers. The price from the products is another question… I looked and looked for it, but all I found where different prices. But the most of the time it was around €30 till €40 for the shampoo (325ml) and the conditioner (325ml) together. So for both products is this a good price!